The availability of the fighter jet for missions when needed — a key metric — remains “around 50 percent, a condition that has existed with no significant improvement since October 2014, despite the increasing number of aircraft,” Robert Behler, the Defense Department’s new director of operational testing, said in an annual report delivered Tuesday to senior Pentagon leaders and congressional committees. The F-35 section, obtained by Bloomberg News, outlined the status of the costliest U.S. weapons system as it’s scheduled to end its 16-year-old development phase this year. Starting in September, the program is supposed to proceed to intense combat testing that’s likely to take a year, an exercise that’s at least 12 months late already. Combat testing is necessary before the plane is approved for full-rate production — the most profitable phase for Lockheed. Pentagon officials including Deputy Defense Secretary Patrick Shanahan and chief weapons buyer Ellen Lord have highlighted the need to reduce the F-35’s $406.5 billion projected acquisition cost and its estimated $1.2 trillion price tag for long-term operations and support through 2070. Still, the Defense Department is moving to accelerate contracting and production for the fighter despite the persistence of technical and reliability issues disclosed in the current phase of development testing. A final version of the plane’s complex software has gone through 31 iterations and has yet to be deployed because of “key remaining deficiencies,” the report found. The troubles also include more mundane issues, such as tires on the Marine Corps version of the plane, the F-35B, that are proving less than durable. The upcoming testing, “which provides the most credible means to predict combat performance, likely will not be completed until” December 2019, according to the testing office. 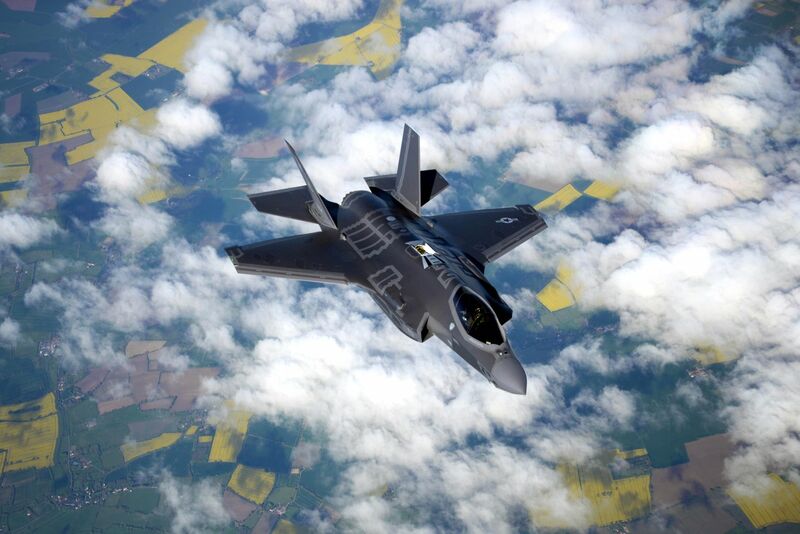 By the end of the testing needed to demonstrate that the F-35 is operationally effective and suitable for its missions more than 600 aircraft already will have been built. That’s about 25 percent of a planned 2,456 U.S. jets; 265 have been delivered to date. Joe DellaVedova, spokesman for the Pentagon’s F-35 program office, and Lockheed spokeswoman Carolyn Nelson did not respond to requests for comment on the new testing office report. About 1,000 unresolved deficiencies with the aircraft, the latest version of its software, and the primary flight-maintenance system known as ALIS that’s crucial to keep the aircraft flying “will likely have a cumulative effect” on the aircraft’s capacity during the combat testing. Aerial refueling will be restricted for the Marines’ F-35B and the Navy’s carrier-based F-35C model. The pilot’s helmet display that depicts vital flight and and targeting information is flawed. It will be late 2019 before developing, testing, verifying and deployment is complete for all the needed on-board electronic files, or “mission data loads,” that identify the types of Chinese, Russian, Syrian or Iranian radar and air defense systems an F-35 pilot may encounter.